Nov 09, 2012 in "Test Track"
General Motors has today released a new batch of concept art and ride description for the upcoming new Test Track at Epcot. 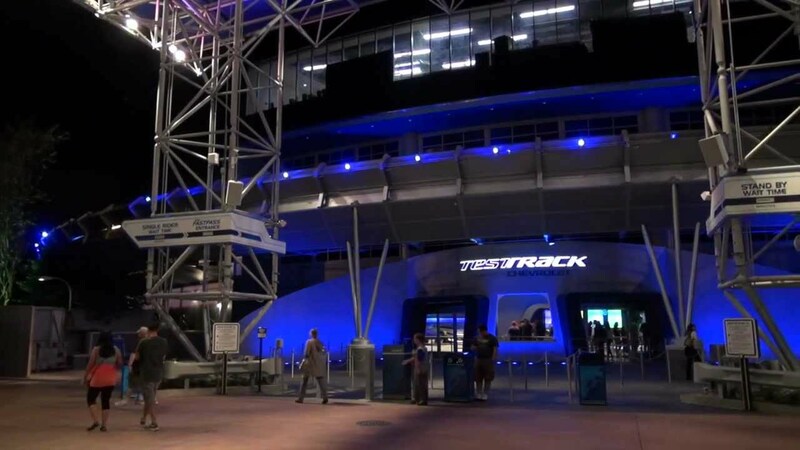 The reimagined Test Track opens to guests on December 6 2012. Read on for the full release and head to the bottom of the page for a lot of new concept art. DETROIT – Chevrolet designers and Walt Disney Imagineers have joined forces to give Walt Disney World Resort guests a deep look inside a professional design studio creating a first-of-its-kind multi-sensory virtual experience in automotive design. Chevrolet and Disney tapped their best design talent with expertise ranging from industrial and automotive design to architecture and animation. The design collaboration began 18 months ago with a few guiding principles – create an experience that is personal, future-focused and optimistic. The two teams met regularly throughout the development process in both GM’s Design studios in Warren, Mich., and at Test Track in Epcot in Lake Buena Vista, Fla. The collaboration allowed for the greatest level of innovation yet ensured the values of both brands were accurately represented in the new attraction, while allowing both teams to learn from each other’s expertise. The result is a unique experience that gives an authentic, inside-the-studio look at the actual automotive design process, while empowering guests themselves to create their own designs, possibly inspiring the next generation of automotive designers. Visual cues inspired by Chevrolet’s expressive vehicle design language throughout the architectural elements in the space as well as in the interactive displays; speed forms and concept vehicle displays, like EN-V and Miray, provide a glimpse into the future of Chevrolet design. Advanced computer technology – similar to that used by Chevrolet designers every day – powers the guest design experience, while radio frequency technology allows them to take their unique vehicle design with them through the entire ride. 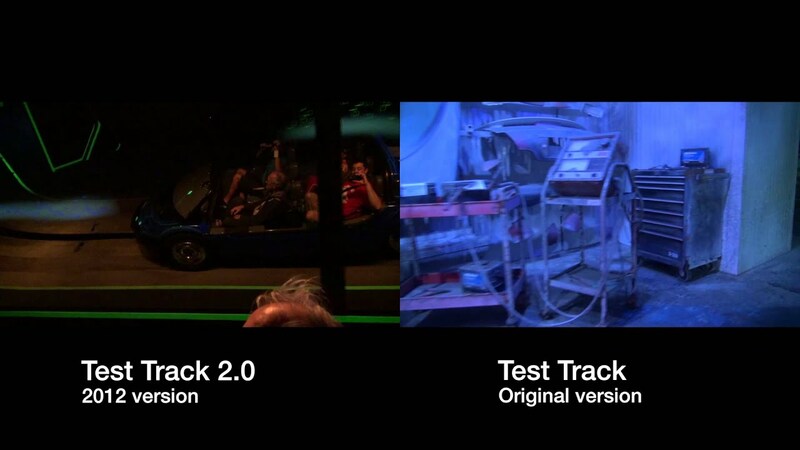 A thrill-ride that provides the test experience where each guest’s vehicle design is evaluated. Social media sharing extends the experience beyond the day at the park. First, guests will have the opportunity to design their own vehicle – car, truck or crossover – with some helpful hints from the Chevrolet designers built into the process. “Designing a successful vehicle requires some careful thought about how to balance capability, efficiency, responsiveness and power – some of the key elements that Chevrolet designers must consider with every new vehicle they imagine,” said Mylenek. 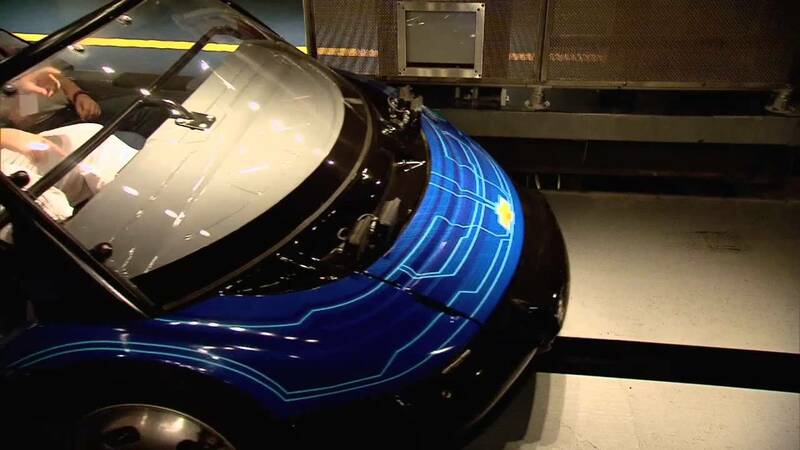 Next, they will have the chance to test drive their vehicle design, through the ride, on track surfaces that simulate the actual vehicle validation process that Chevrolet engineers use to ensure every new vehicle meets the highest performance standards. Each guest’s vehicle design will be evaluated and scored based on how well their design balanced the core attributes. Finally, guests have the opportunity to race their vehicle over changing terrain and extreme conditions on a digital driving table, produce and share a TV commercial starring their custom vehicle and pose for action shots in front of their design.